NEWTON, Mass., April 2, 2018	(Newswire.com) - Challenging assumptions about millennials, author and editor Jill Ebstein has created a thoughtful collection of stories of men and women in their twenties and their aspirations, inspirations, and lessons learned, tailored to modern-day attention spans. With four twenty-somethings in her own family, Ebstein decided it was time to challenge the conventional wisdom about twenty-somethings. “We have a lot of experts describing a generation of entitled, overly-assertive, social-media obsessed kids, but it didn’t really square with my experience.” She decided it was time to hear from millennials themselves. 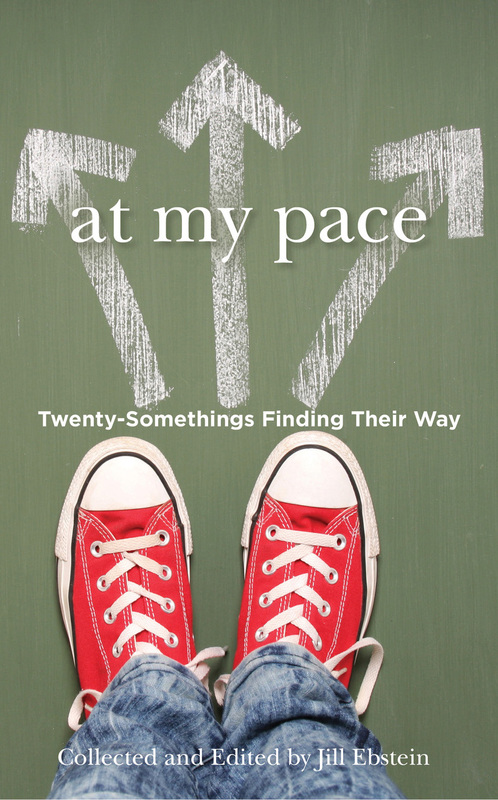 As part of the growing At My Pace series, Jill Ebstein found contributors who were willing to share their experiences and how they view their future. Anxiety, displacement, rejection, and uncertainty were common themes. “There were many raw moments in our discussions, but I always came back to, ‘Write your piece, find your peace,’ and they often did,” Ebstein explains. We learn of Sam, a contract journalist who temporarily becomes a Lyft driver when he loses his writing gig. Anna suffers from “imposter syndrome” as she pursues dreams of medical school until she finally believes she is worthy. Evan works for a hip-hop infused restorative justice organization led by and for young people impacted by violence. Maya, adopted at nine months from a Chinese orphanage, grows up in Cambridge and experiences the complexities of dual identity. There are teachers, social workers, researchers, writers, actors, engineers, social activists, a management consultant, lawyer, and even a comedian to round out the mix. Along with collecting stories, Ebstein, who doubles as a business consultant, used her market research skills to conduct a survey to better understand contributors’ views. Contrary to popular thinking, she found that what matters most in the work setting is not fun and freedom, but people and purpose. “The mission must ring true,” Ebstein explains. She adds, “The survey also showed that life experiences are their most important source of learning, and courses their least.” This is a group that learns by doing. Management consulting practice that supports wide range of business from start up to Fortune 100 in capturing the voice of the customer, and in providing assorted services to support communication across teams.